Former Gambian President Yahya Jammeh forced to step down. After ruling the West African country of Gambia for more than twenty years, former President Yahya Jammeh has been forcibly removed by troops. 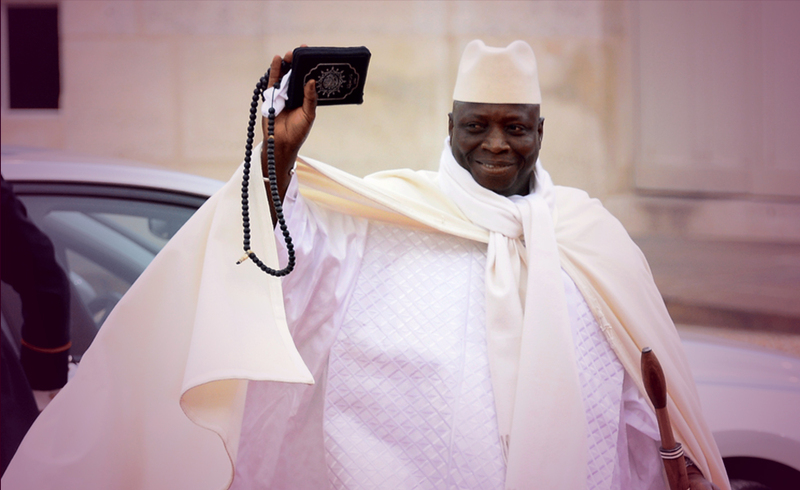 Former military officer Mr Jammeh was second President of the Gambia when he was introduced to the presidency as an army officer in a military coup. He continued to be re-elected until losing the election to Adama Barrow in December 2016. Mr Jammeh graciously accepted defeat, but within days he rejected the results calling for a new election. After talks with West African mediators, Mr Jammeh stepped down and then went into exile. Speaking at a recent news conference, Mai Ahmad Fatty, special adviser to the new president Adama Barrow, told journalists that Yahya Jammeh had stolen $millions from the government and that the source of Mr Jammeh’s lavish lifestyle has been questioned. Mr Jammeh has attempted to negotiate amnesty for crimes committed during his time in office. Mr Barrow, who was officially sworn in as president of the Gambia at a ceremony held at the Gambian embassy in Dakar has commented that he may look into any possible crimes connected with his predecessor. Throughout Mr Jammeh’s rule, many of the country’s people reportedly lived in poverty, some risking their lives by attempting to leave the country and cross the Mediterranean Sea to get to Europe. Is recovery on the cards for Gambia following the cloud of controversy left by Mr Yahya Jammeh? The cards drawn today are the Death card, the Justice card and the Ace of Wands. This represents Yahya Jammeh and the end of his presidency. This card should not be feared and in this context it informs of profound change that if resisted may be painful. Mr Jammeh began his presidency as an accomplished military officer, he did much good work but I feel that his motivations changed throughout the presidency. The Gambia was ready for a new order and this is what they voted for. Mr Jameh was forcibly removed after his defeat to Adama Barrow. This represents the Gambia. It is a time for balancing the accounts. The country will recover and the inhabitants will experience an ordered calm to what could be described as chaos. This is the time to allow higher moral values to be revealed and for faith in the new system. This represents Adama Barrow, the Gambia’s new President. There is much work to be done and Mr Barrow will wish to right the wrongs of the former leader and use his metaphorical club to break down walls of darkness and non-being. Mr Barrow will bring unity back to the country that he now leads and this cards says that he will take appropriate action for the greater good. Previous ArticleTrump and Clinton – Weekly Celebrity HoroscopeNext ArticleWill Donald Trump make America great again ?